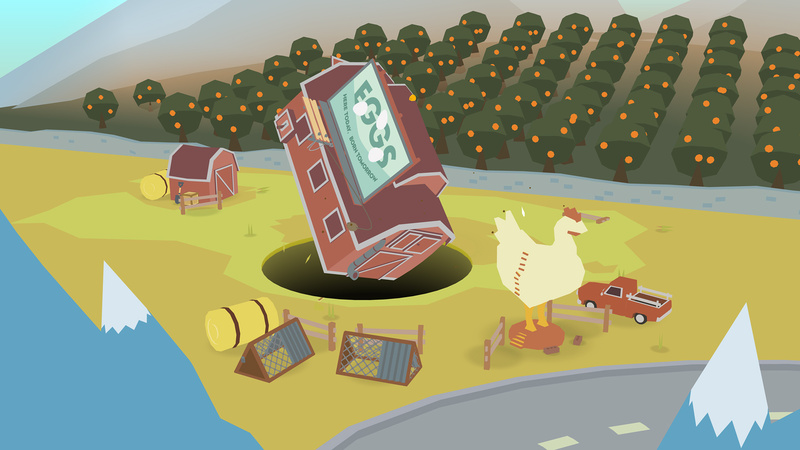 Donut County should appeal to fans of Katamari Damacy. It's a lighthearted game in which you are a hole that can move around and swallow objects to grow larger, and you'll solve puzzles along the way. After a long wait, it's nearly ready for us. The game is out for PC, Mac, iOS, and PS4 on August 28. In the three years since I last played Donut County, creator Ben Esposito has added story elements. I was perfectly fine with this being a "whimsical physics toy," so I'm stoked thinking about what else might've been added and refined over the years. I can't see this being anything other than great. "My first apartment in Los Angeles was basically run by raccoons. They were sleeping in the laundry machines, stealing pool floats, and howling from rooftops. The raccoons kept to themselves usually, so I wasn’t scared of them until one night when I heard a chittering sound from right above my head. I froze. Four feet away on the rooftop a raccoon stared at me, dead eyed, chewing on a battery. He was eating the battery. That was when I knew – raccoons cannot be stopped."